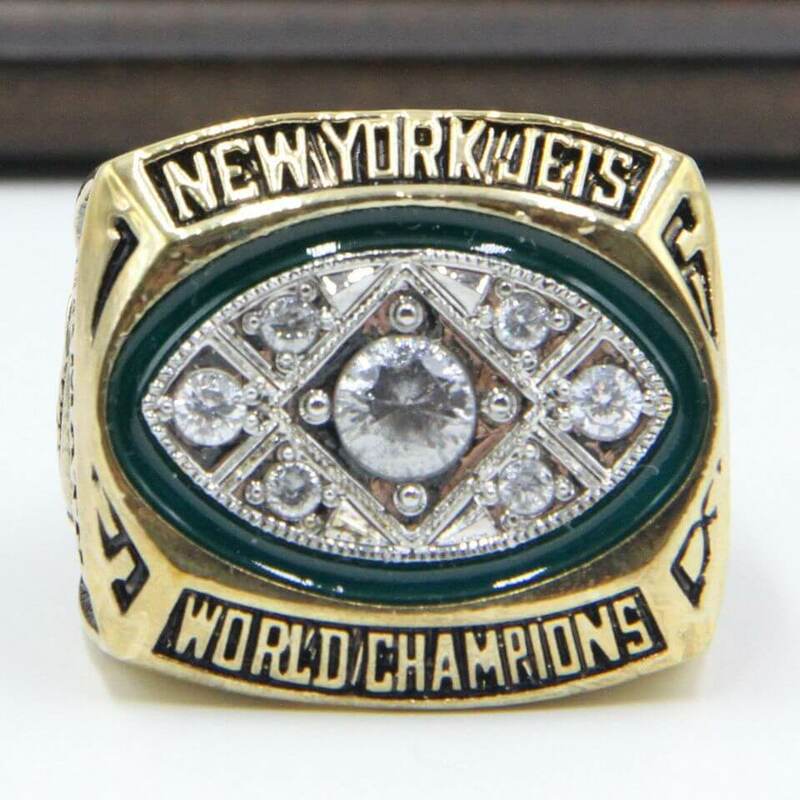 New York Jets are a professional football team of U.S.A that owned by Wismer Werblin syndicate, Hess, and Woody Johnson in 1959 in New York metropolitan area, As a member of the AFC (American Football Conference), New York Jets won his first Super Bowl in 1968 ( Super Bowl III), and never back to the Super Bowl again. 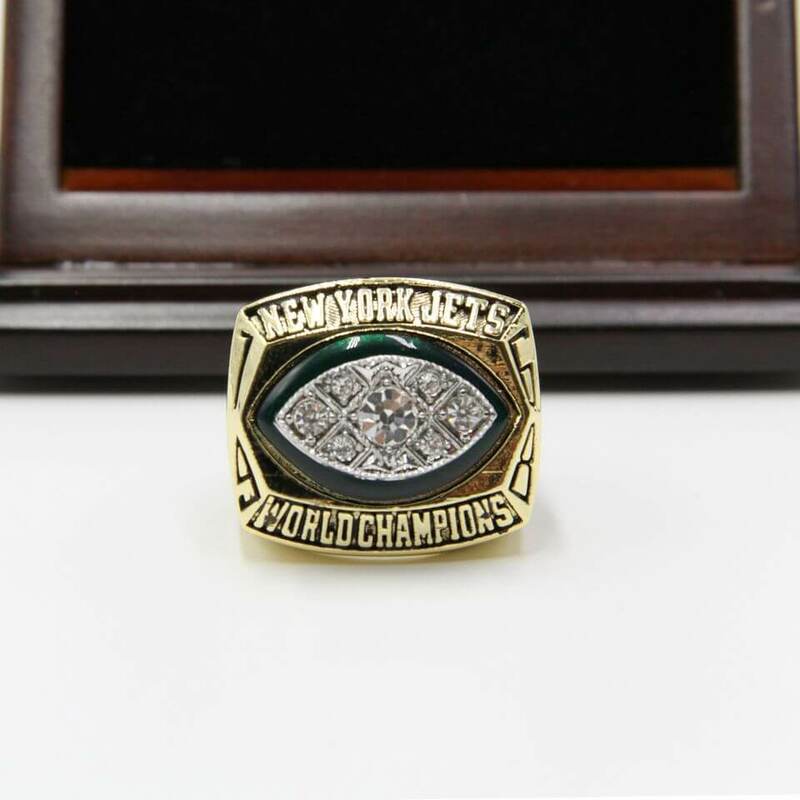 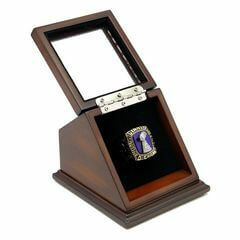 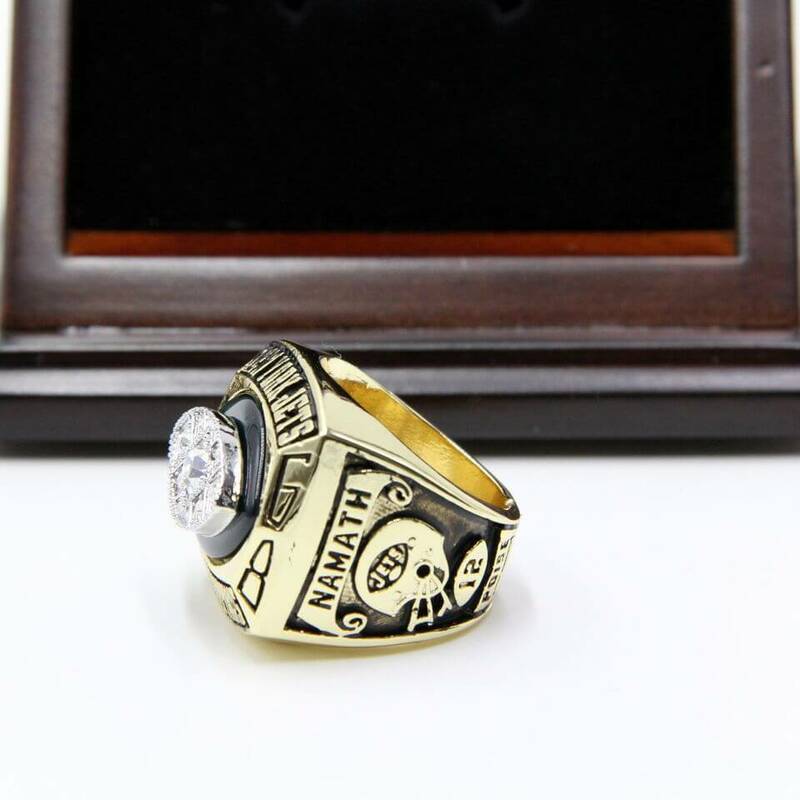 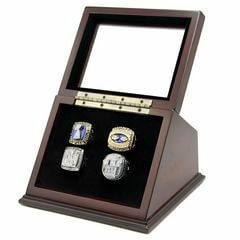 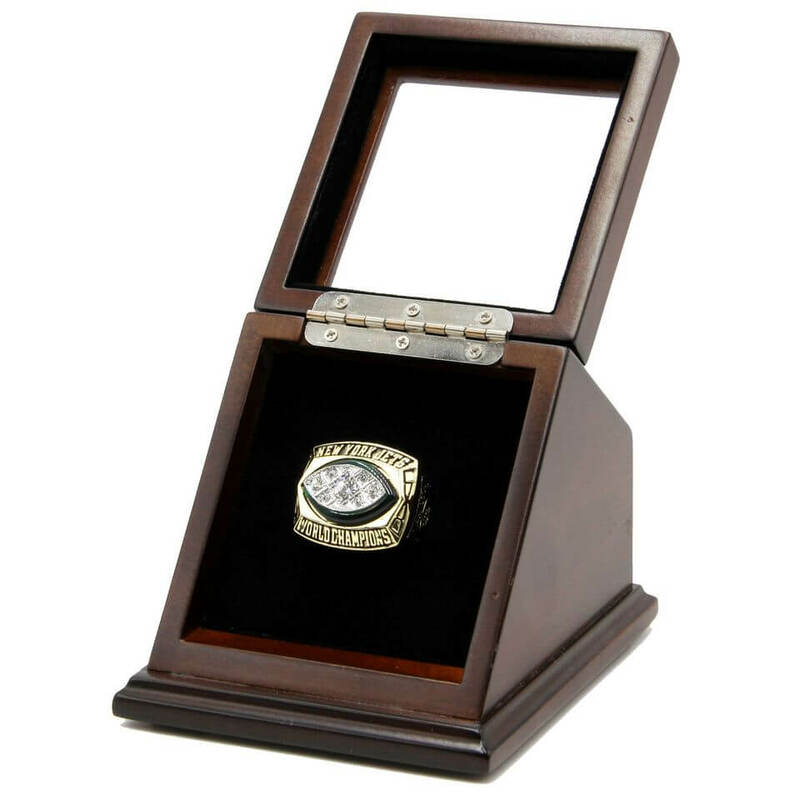 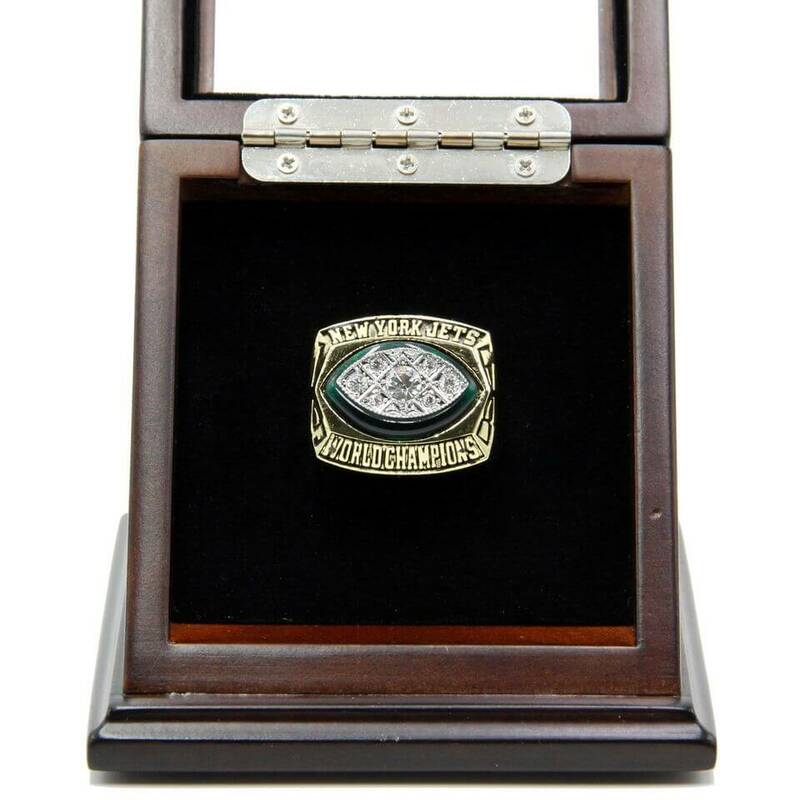 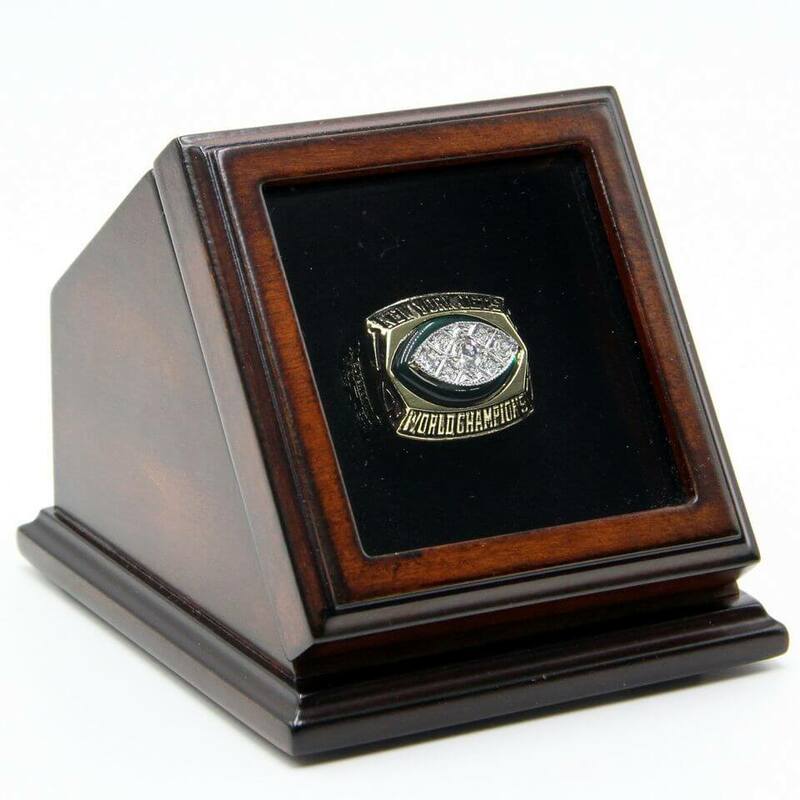 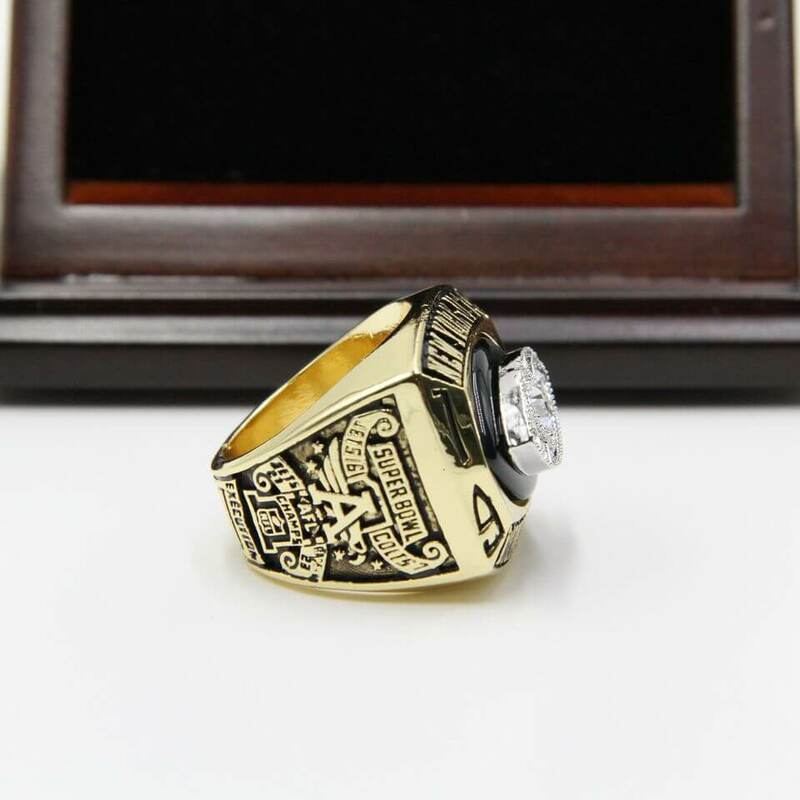 NFL 1968 Super Bowl III New York Jets Championship Replica Fan Ring with Wooden Display Case represent New York Jets honor with Super Bowl III championship ring 1968 plus the beautiful wooden display case to make the ring display with pride. 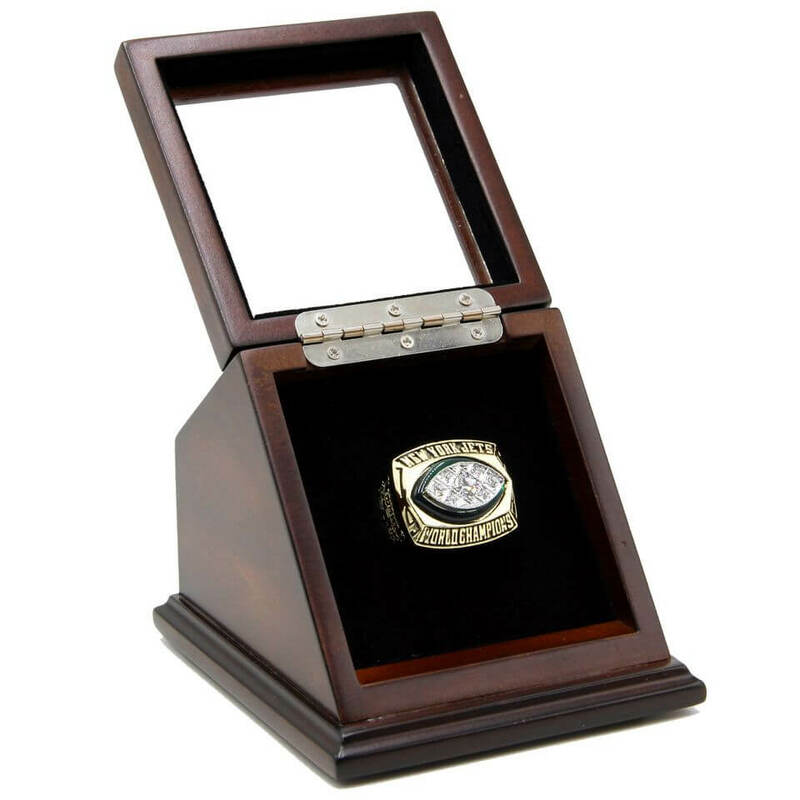 It is a unique and a great gift to your friends and families, and this is a truly one of a kind item that would stand out in any New York Jets football collection.